Lynda Carolyn Hollman Rohling, 73 of Leoma, TN passed away Tuesday, January 15, 2019 at Southern TN Regional Health System in Lawrenceburg, TN. She was born in St. Joseph, raised in Lawrenceburg, graduated from Lawrence County High School, and worked in Government Offices as she accompanied her husband for 24 years of military. She retired as Patient Business Director and CFO of OB/GYN of Alabama in Florence. She was also a member of Sacred Heart Catholic Church of Lawrenceburg. She is survived by her husband of 56 years, James Arnold Rohling, Leoma, TN; daughter, Sonja Hardiman, Leoma, TN; daughter-in-law, Jonita Rohling, Loretto, TN; seven grandchildren; and eight great-grandchildren. She was preceded in death by son, Jeffery Rohling; mother, Birdie Wisdom Hollman; father, Louie J. Hollman; and two sisters, Betty Kersteins (Robert) and Juanita Kollefrath (J.W. Kollefrath). Those serving as pallbearers will be Mark Rohling, Flint Rohling, Doug Rohling, Lucinda Brandon, Niki Smith, and Chad Rohling. Arrangements are being handled by Neal Funeral Home, 231 N. Military Avenue, Lawrenceburg, Tennessee. The family will receive friends from 6:00 PM to 8:00 PM Thursday, January 17, 2019 at Neal Funeral Home with Rosary Service at 7:00 PM. Funeral mass will be conducted at Sacred Heart Catholic Church of Lawrenceburg at 10:00 AM Friday, January 18, 2019, with Father Joseph Mundakal officiating. Interment will follow at Calvary Cemetery in Lawrenceburg, TN. 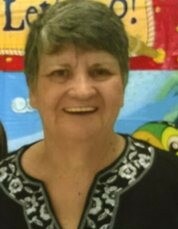 Family suggests memorials be made to Sacred Heart Catholic School, 220 Berger Street, Lawrenceburg, TN 38464.